14-Apr-2017: All traffic goes via HTTPS from now on. You do not need to do anything, everything will be redirected automatically. In 1949 explorer Bill Tilman did some extensive exploration of the areas of Langtang, Ganesh and Manang. He was the first to ascend Paldor, 5896 m, and found the pass named after him beyond Gangchempo. Finding and crossing the pass is still a difficult task. The pass isn't used very much. Being one of the few (and probably the only ones in 2010) we managed to conquer the pass. 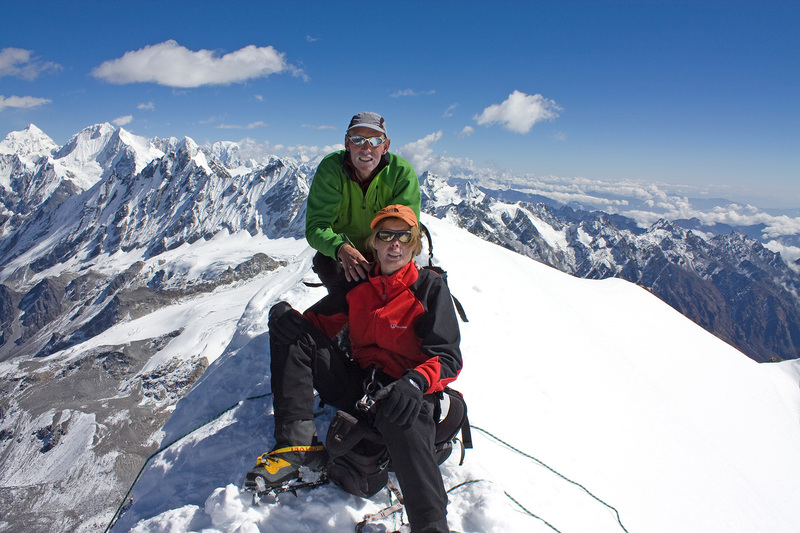 And a week later we also summitted Naya Kanga (5844 m). 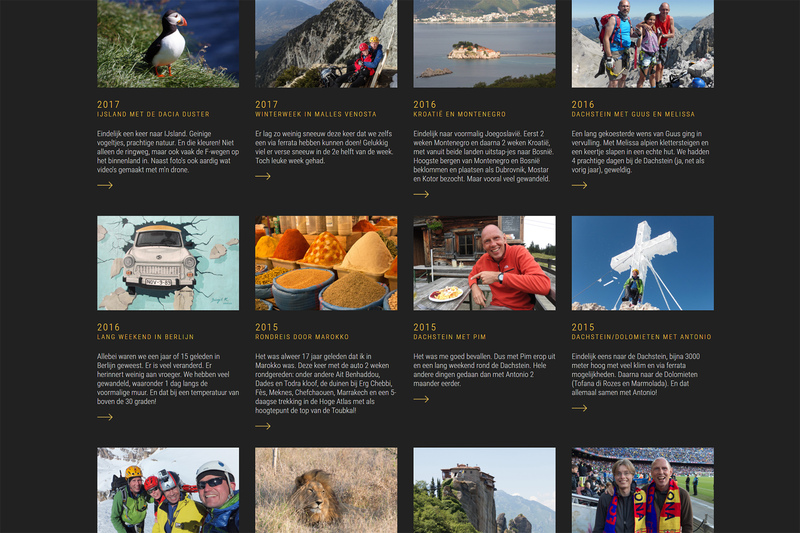 On our website you can read everything about our adventure and photos can be found in the webalbum. In Autumn 2009 we (same team as for Aconcagua in 2004) tried to climb Baruntse (7129 m) in Nepal. We set up a full expedition with guides, porters, kitchen staff. After 2 weeks of trekking, Otto had to return due to breathing problems. We were at an altitude of 5200 meters by then. 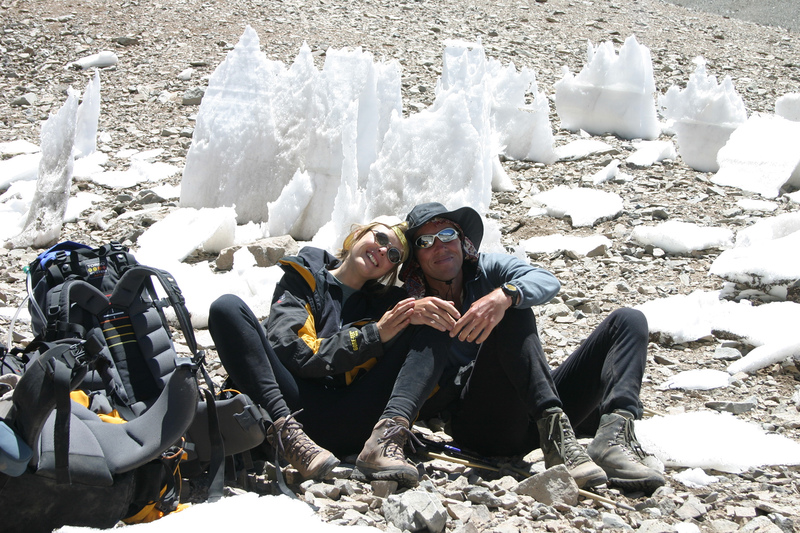 Marja joined him and Antonio continued and summited a week later. A complete report can be found on our website and photos can be found in the webalbum. In 2005 we went to the Caucasus. This mountain range is situated on the border of Russia and Georgia, right between the Black and Caspian See. Elbrus, Europe's tallest mountain, is on the Russian side of the border. We climbed the East Summit (5621 m). But we did more. To acclimatize we did a trekking in the Bezengi Wall area. And after summiting Elbrus we spent a few days at the Black See, in Sochi (Adler). 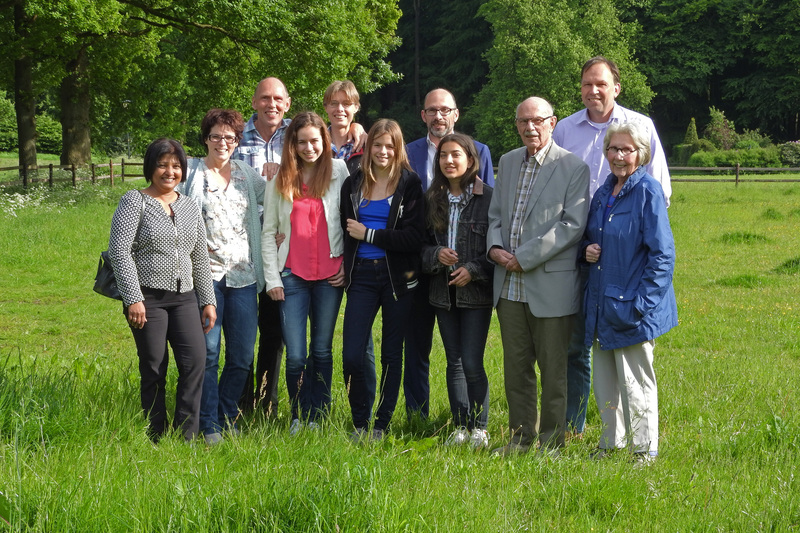 A summary of our trip can be found on our website. Photos can be viewed in our web album. Our Aconcagua expedition took place in 2004. 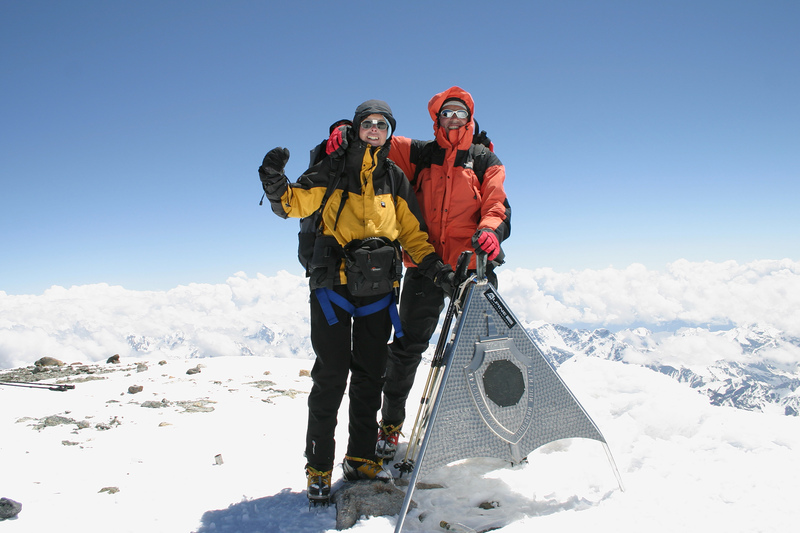 Of our 3 person team, Antonio succeeded in summiting America's tallest mountain (6962 m). An extensive website about this expedition was set up. Interested in our photographs? Please have a look in our web album. You will need Adobe Flash Player 9 or higher. You can download it for free at Adobe. Whenever we feel like it, we try to go to the highest point in a country. To monitor our progress we created a summit list (Dutch only). 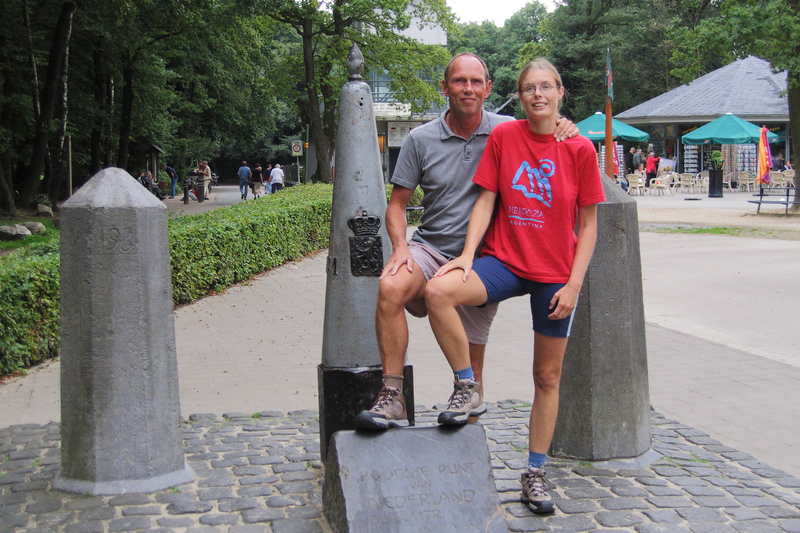 The photo shows us standing on the highest point in The Netherlands, the Vaalserberg (322 m, not feet!). Our family history goes back to 1558. 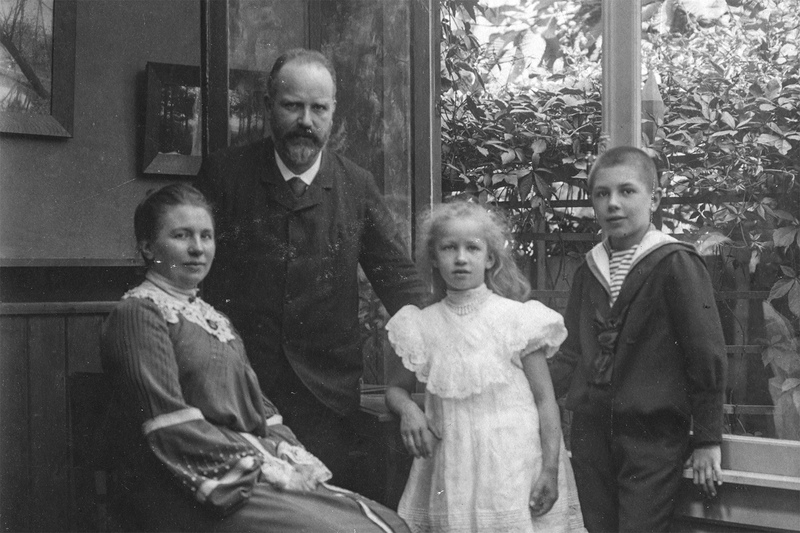 That year Albert Sluiter was born. Hans Sluiter did a lot of research in the past years. The results of his labor can be found on our genealogy website.